Welcome to Friday Night Kids Yoga Club! One of our most popular yoga events. This drop-off event for kids (ages 5-12) features a signature Butterfly Kids Yoga class, dinner, yoga dance party, and mindful moments. Plus, it can be a parents night out for you! We have something for YOU, too! With your purchase, you receive exclusive offers from our local partners to use in and around town. Where: Butterfly Kids Yoga @ East Side Wellness Center, Fairport (map). Yoga studios located on lower level. Interested in viewing details on all Friday Night Yoga Club events? Click here for all dates. A healthy, delicious and kid-friendly selection of dinner options will be provided by CoreLife Eatery, Wegmans and Amazing Grains Bread Co. Please contact us directly if your child has a food allergy, sensitivity or other dietary concern. 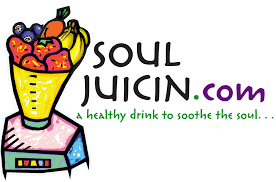 Partner coupons from FairPour Cafe, Soul Juicin and Amazing Grains Bread Co. will be emailed to you on the week of the event. CoreLife Eatery lemonade vouchers will be available for pick up at your Friday Night Yoga Club date.